Released by Samsung in late 2016; Samsung Galaxy J1 Mini Prime is an Ultra-light and a compact smartphone with a variety of functions enclosed in a small rectangular box. It features a 5 MP camera and a 4 inches touch screen. 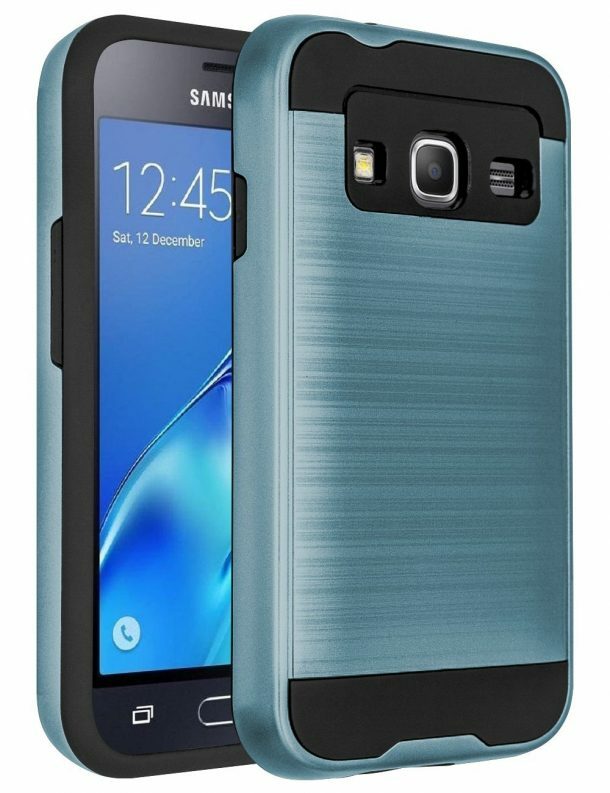 Below, you can find the 10 best case choices for Samsung Galaxy J1 Mini Prime. Give it a read and let us know which cover you liked best through your comments. If you are looking for a professional case; this one is the product on which you should spend your money. This case is made from TPU; a lightweight, anti-scratch and flexible gel material that is very comfortable to your hand. You can wipe the dirt off easily with a watered cloth. It is precisely cut to fit the speaker, camera, and headphone jack. It is ultra light and protects your phone from shocks and drops. This hard back cover case is made from ABS plastic material. It protects your phone from dust, scratches, scrapes and is specially made for those who want to protect their phone from high-impact drops and shocks. It is precisely cut to allow all the jacks and slots to operate well without any hindrance. It is surface coated with the leather-like material for a classy look and feel. This flip cover case has built-in pockets to store essential ID and credit cards conveniently. The precise cut-outs for ports and camera will provide no hindrance to the quality of sound or camera. A camo colored case for those who want to buy a rugged armor defender case flaunting the colors of camouflage. It protects your phone from scratches, scrapes, and dust well. The lightweight design perfectly fits your phone and does not make it look bulky. The case is easy to snap on and off and comes with two pieces of plastic for the back and front of your phone. This product is a tire imprinted leather cover, back case, for Samsung Galaxy J1 Prime. The simple yet sturdy design feature polycarbonate and TPU case which provides both a hard shell and a soft holding comfortable feel. It is made from high-quality, durable leather which has point surface design to reduce slipping chance, dust, and fingerprints. Additionally, precise cutouts for speakers and slots ensure a smooth operation. This flip cover case comes with an adjustable ID card holder. The versatile design can hold your credit cards and essentials along with an impressive amount of banknotes. It also has a camera slide which enables you to take pictures without taking the phone out from the case repeatedly. You can find a variety of colors for this case as well in the link below. This lightweight bumper case is compact and stylish. It is a shock resistive protective TPU cover that will protect your phone well from high and low impact shocks and drops. It is anti-slip and comes in four different colors for you. Additionally, it fits the exact contours of your phone to minimize any heavy feeling. This slim anti-scratch heavy-duty protective cover case comes with a smooth and non-slippery grip that will hold your phone securely in hand. The flexible and durable TPU along with hard polycarbonate provides dual layer protection for the back of your phone especially from high and low impact shocks and drops. It is incredibly easy to take off and has a matte touch that looks posh. If you want a classy case that covers your phone from the front as well as back, with a stylish design that looks glowing when you hold it, you should get this one! The unit is made from a combination of polycarbonate and PU for providing dual protection from high and low impact drops and scratches. The kickstand allows for a variety of angles for the unit to stand on. All openings, buttons, connectors and speaker positions are perfectly cut to nullify any hindrance in phone’s sound or picture quality. This case is made using one of the best quality faux leather. The cover is compact, durable and will stay with you for a long time. The material allows smooth transaction of the phone. The magnetic closing flap keeps your phone safe inside the cover. It comes with a set of aluminum earphones as an added accessory.